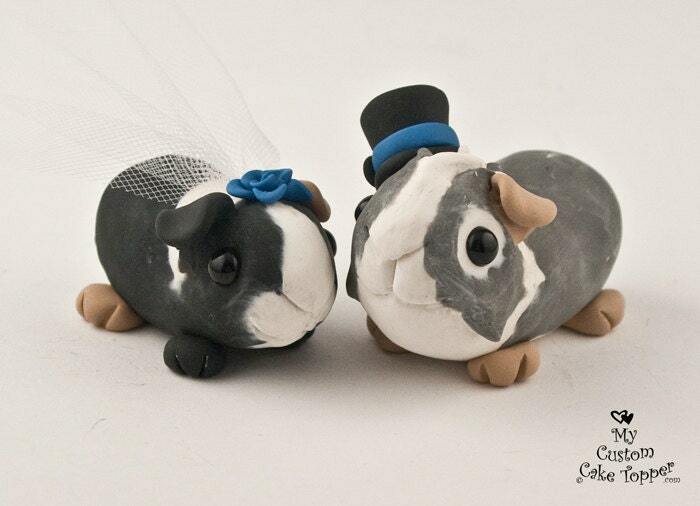 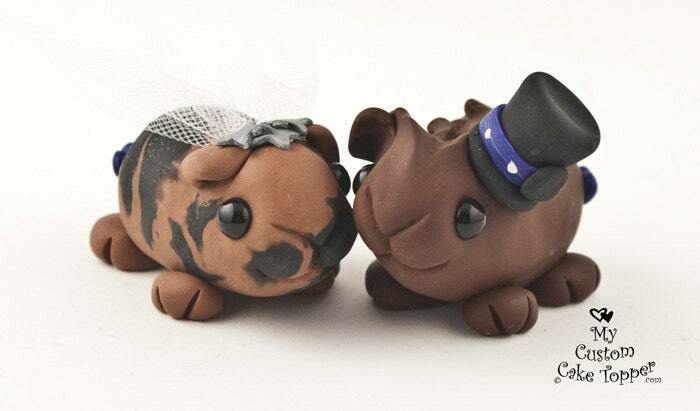 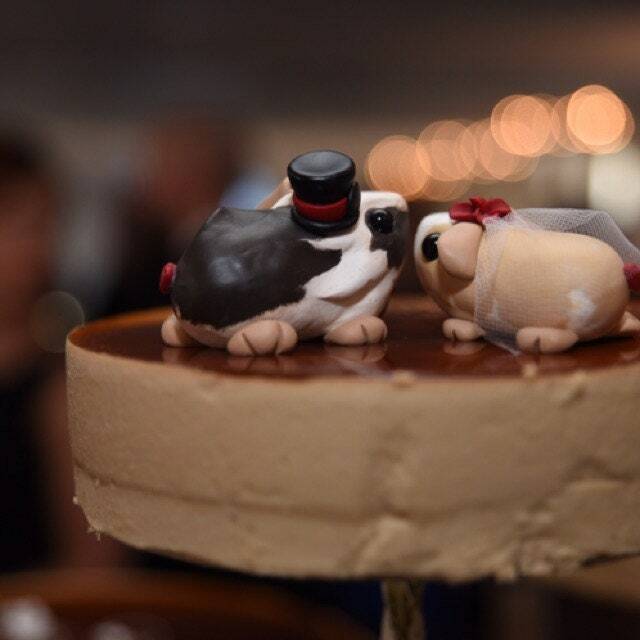 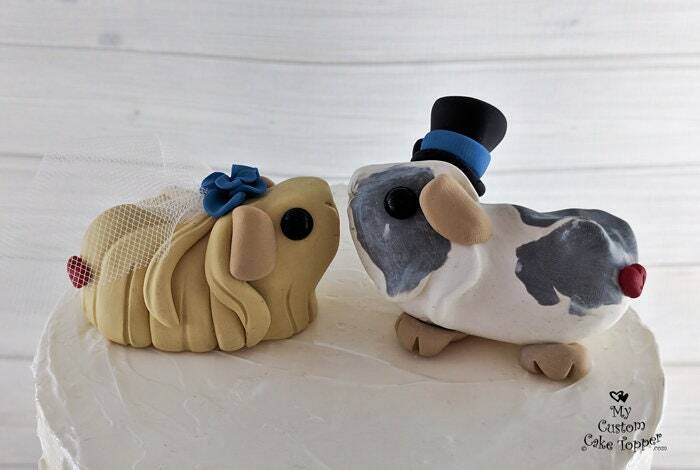 Guinea Pigs Wedding Cake Toppers! 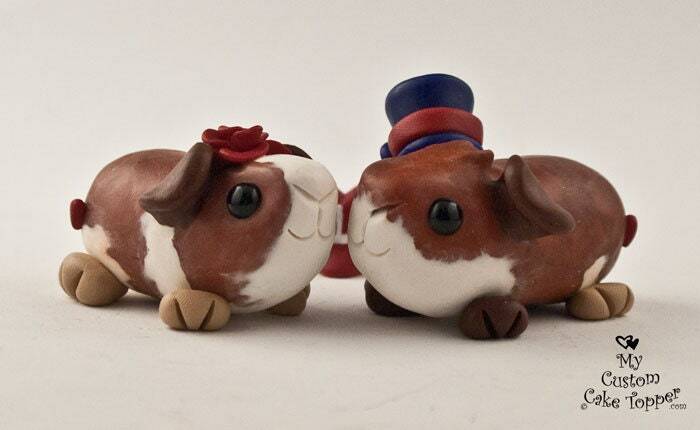 These adorable guinea pigs are too cute for words! 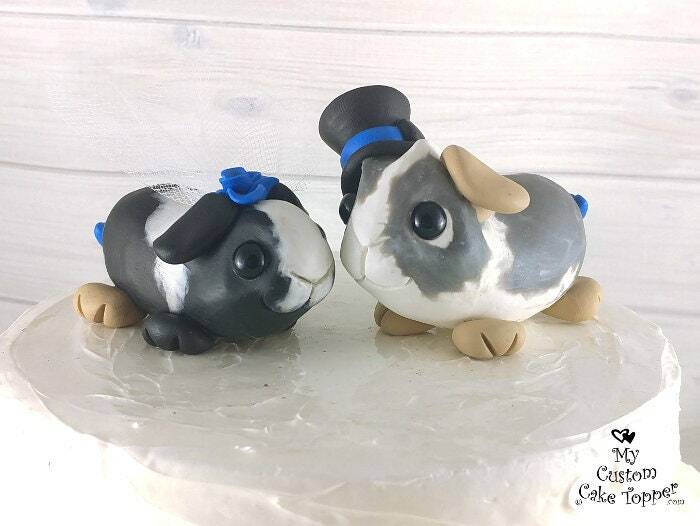 You can chose your accessories and colors, and fur patterns. 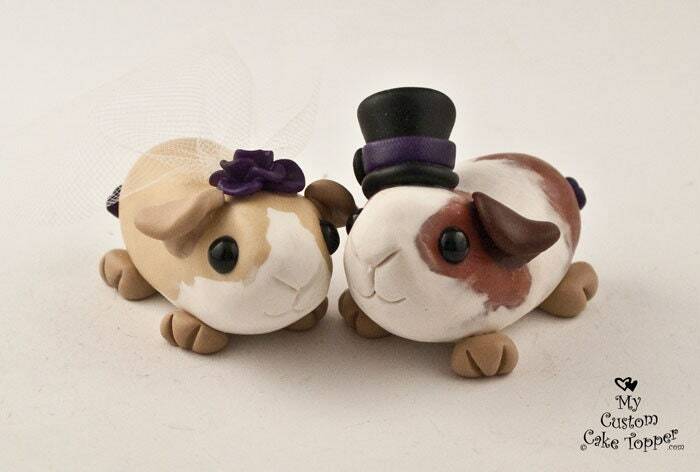 You can also send photos of the guinea pigs you'd like them to resemble. 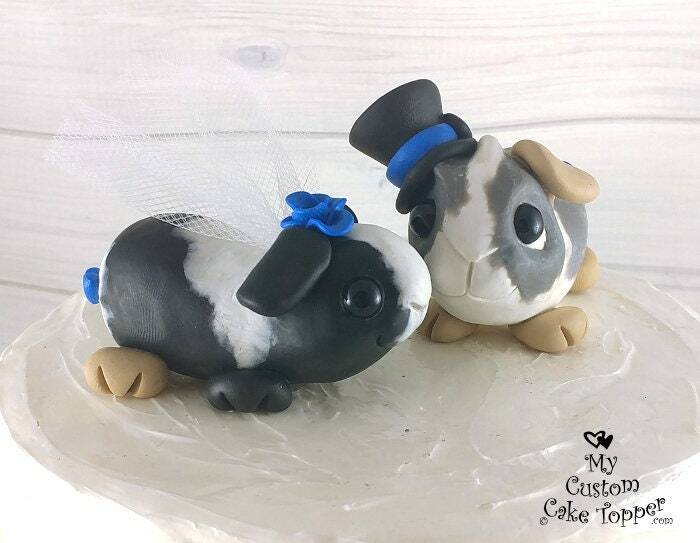 All of my works are handmade, non-toxic and can last a lifetime if taken care of properly, a perfect keepsake from your special day. 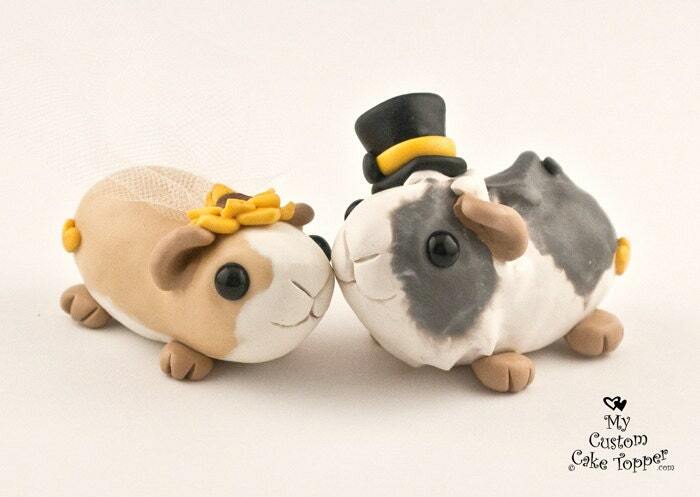 Each guinea pig is approx. 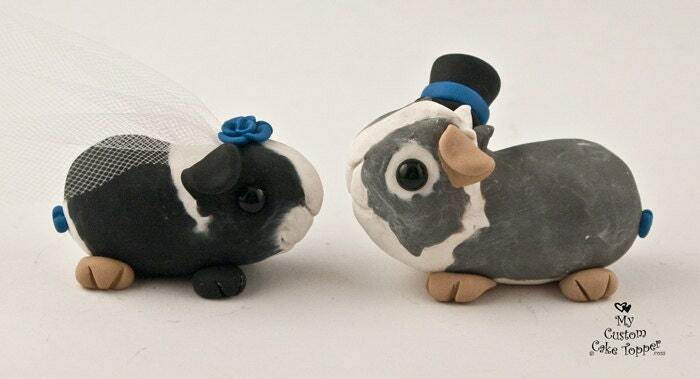 3" long by 1.75" wide.